Interested in CROS Hearing Aids From Phonak? Single sided deafness (SSD), tends to be a little known condition outside the people who suffer with it and the audiological community. According to a study by doctors in the UK, awareness about, and understanding of, SSD is limited even in the greater medical community in this country. 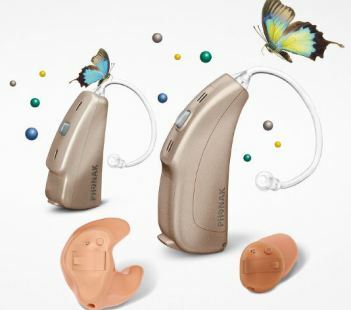 Single sided deafness is something that we often come across and in the case of true single sided deafness traditional hearing aids are not an option. Typical single sided deafness presents as complete or near total deafness in one ear while the other ear tends to be normal or nearly normal. While normal hearing aids won't do the job, there is a solution, CROS or BI-CROS hearing aids. Phonak has now introduced their new CROS II Custom, the only custom solution for single-sided deafness. 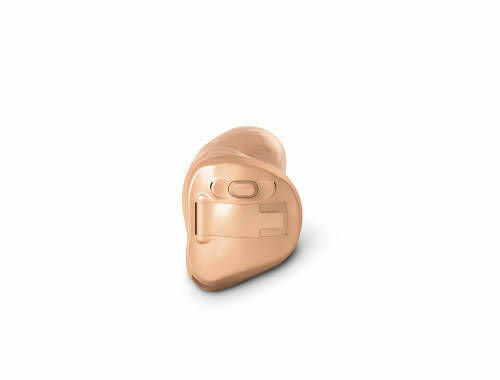 It wirelessly transmits sound from the bad or dead ear to a wireless custom Venture hearing aid worn on the better ear. This allows people with single-sided deafness to hear speech from the side they could not hear from before. This new CROS II custom is also based on the Venture platform. They have also introduced steps to reduce battery drain in the CROS II. The system now consumes up to 30% less battery than the previous CROS generation and delivers 40% better speech understanding in noise. Phonak CROS II Custom is compatible with all wireless Phonak Virto V hearing aids with Binaural VoiceStream Technology™. Phonak CROS is the smallest and most stylish wireless CROS/BiCROS solution designed to meet your individual needs and preferences. Phonak CROS consists of only two parts – a transmitter microphone for the ear that cannot benefit from a hearing instrument, and a receiver hearing instrument on the better hearing ear. This means sound from your poorer hearing side is wirelessly sent to your better ear. The small transmitter placed behind or inside the ear that cannot benefit from a hearing aid picks up sound and transfers it wirelessly to your ear fitted with a hearing aid. At the same time this hearing aid amplifies sounds coming directly to this ear. Your hearing and understanding experience will improve and your communication capabilities will be better than ever. Together with a WaterResistant Phonak hearing aid, this robust little system gives you the freedom to enjoy your favorite activities with great confidence. Be it around water, on the beach, working out, in the rain or if you simply forget to take your system off to take a shower, there is no need to worry. If you appreciate a small, stylish design with all the benefits that Phonak CROS can provide, this is an attractive solution for you. For a custom solution, a Phonak CROS in-the-ear option is for you. These custom-made devices come with a choice of battery sizes so that you can choose to have the benefit of a smaller device or a longer lasting battery. You can take a look at the full range of Phonak hearing aids here.